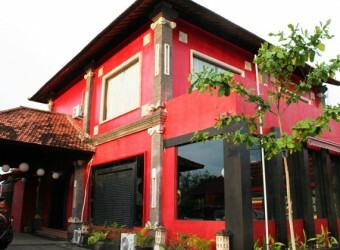 Bali Restaurant Animo Resto is located at Jalan By Pass Ngurah Rai, Jimbaran. The restaurant has stylish building in a combination of red and black, total capacity of the restaurant is 100 table seats and 20 seats in VIP room. This restaurant offers appetizer, soup, pasta, pizza and also menu of chef's recommendation and Asian taste.